Larry is a fresh and original musical voice and brings an honest message of deep, emotional musical expression. He has never sought to be a “fad musician”. He hasn’t wavered in his vision of improvising and playing through life’s song, with his heart. The Tucson Jazz Society kicks off the 8th season of its Summer Series on Saturday, July 5th with the Larry Redhouse Trio at the DoubleTree by Hilton at Reid Park. Pianist Redhouse will lead a world class ensemble made up of Robin Horn on drums, and Evan Dain on both acoustic and electric bass. The Trio incorporates straight-ahead jazz, latin, funk and reggae influences in its exciting repertoire. 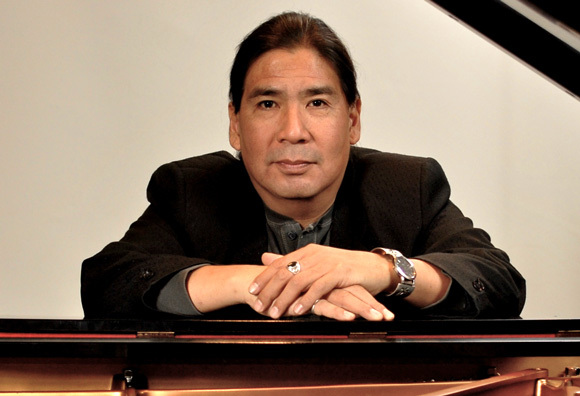 Pianist and composer Larry Redhouse has performed in prestigious venues around the world, including the Grenoble Jazz Festival, the Smithsonian Museum and Kennedy Center Jazz Club, both in Washington, D.C. He has opened for jazz greats Chick Corea and Terrance Blanchard, and backed such popular artists as Rick Braun and Euge Groove. Larry has released two self-produced CDs,Spirit Progression and Live at the Westward Look. Don’t miss out on this smokin’ hot performance. Doors open at 6:30, and the concert starts at 7:00 PM. Tickets are $20 for non-members; $15 for members; $10 for veterans, seniors, and students. Tickets are available at the door and at tucsonjazz.tix.com.